One project I have yet to tackle is making crochet blankets. Since Pokemon Go is still kind of popular, I thought I would look at Crochet Pokemon Blanket Patterns. Here are a few patterns I found. Not all of these are free, but there are few in here that are. This pattern is a video pattern. It does not appear to have a written one. Each granny square has a Pokeball in the middle! This blanket is huge! Fits on a Queen size bed! Made with over 1000 granny squares. Time-consuming but it looks awesome! This blanket is made with single crochet stitches. The pattern contains a graphic chart. 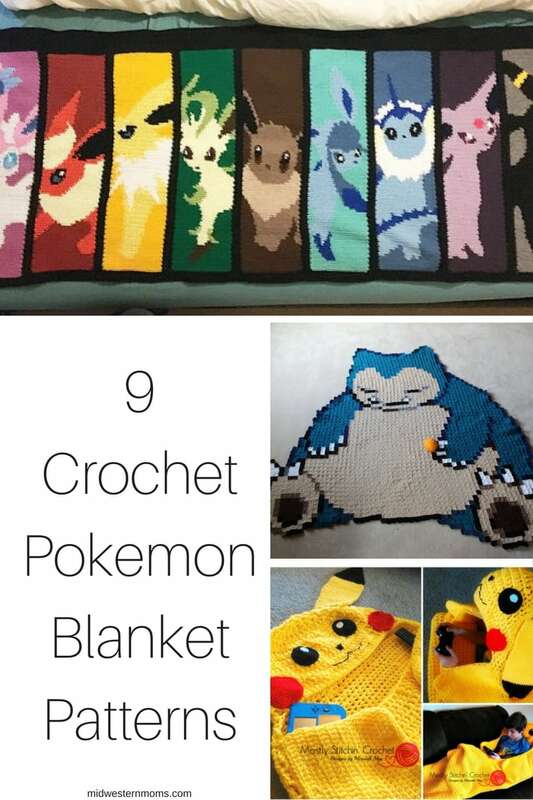 This pattern contains 20 Pokemon characters squares that can be made into one blanket! Make a C2C afghan with a Pokeball on it! This blanket shows the different stages of Eevee!! This blanket is constructed in one piece. Love how the black background sets off the Pokeball. This is a cute idea! It is a hooded blanket so you can cuddle up while playing your favorite Pokemon game! Cute little lovey pattern perfect for the little ones! Pokemon Crochet Patterns You Need To Make!